After circle shape, our little Playschool children learn't the second shape that is the triangle shape. 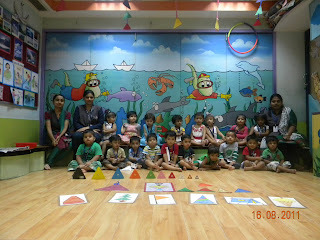 On Tuesday, 16th August 2011, teacher's introduced the triangle shape with the help of a story and lots of triangle shaped object. 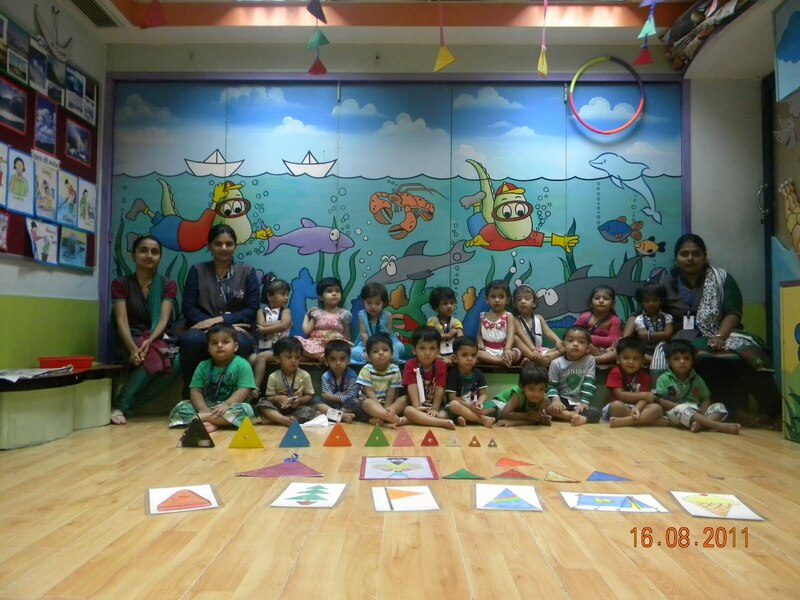 The class was decorated with all triangle shaped mobiles. Children enjoyed paper dabbing on ' Tommy triangle ' worksheet. Children were very excited to play Triangle Hopscotch game. 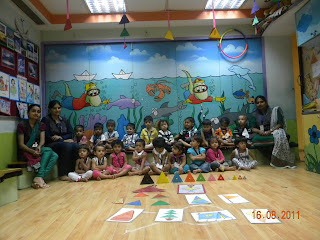 Little ones were very happy to eat the triangle shaped snacks that they brought in their tiffin.